Central Dalmatia on top this year again! 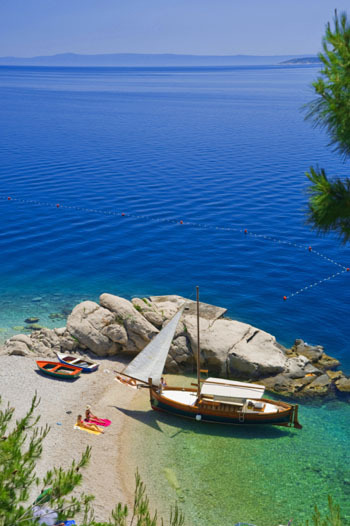 Split- Dalmatia County has been having good tourist results year after year! 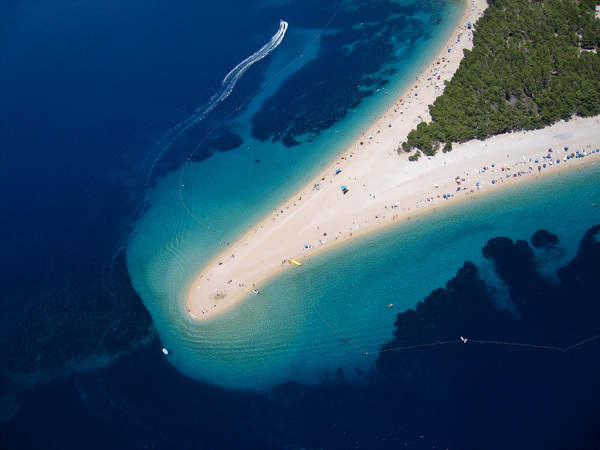 From pirate trip, Roman football, Rafting on Cetina to the star observatory on Mosor – read what Central Dalmatia prepared for us in season 2015! Better, more creative and with more contents, 2015 season opens to Split-Dalmatia County’s guests! Way to Croatia brochure, with the title ‘Discover Central Dalmatia’ was printed in thousand copies and presents even 120 creative tourist programmes that were created by tourist agencies in cooperation with Tourist Board of Split- Dalmatia County, in order to make holidays more dynamic and interesting this summer. What awaits us in 2015? 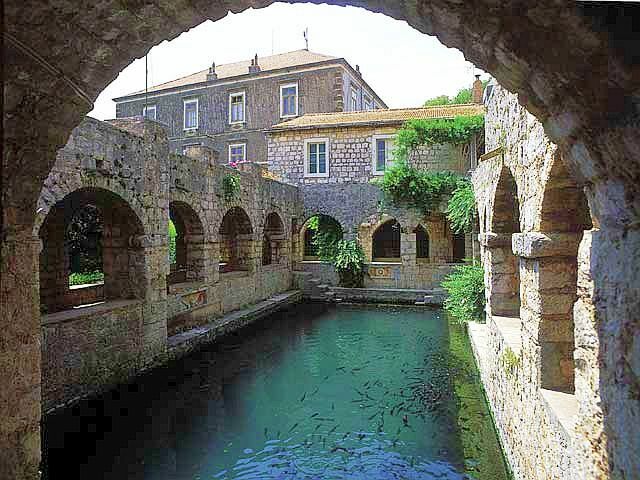 Central Dalmatia abounds in ancient antiquities, fairytale myths, surreal landscapes and exquisite gastronomy. With its long history and stories that are inwrought in every stone, it has finally, with this project, linked its ancient past with modern, contemporary trends by creating offer and products for relaxation, entertainment, active vacation and pleasure for all types of guests. Way to Croatia is not just about describing beauties of Central Dalmatia, or praising its landscapes, nature and crystal clear sea. All the agencies that create theme programmes are listed there, together with details about specific programme, tour, prices, contacts and web addresses. Concrete offer for particular users has, with this project, created a perfect image and quality whole through elaborate and complex programme of tourist experiences. 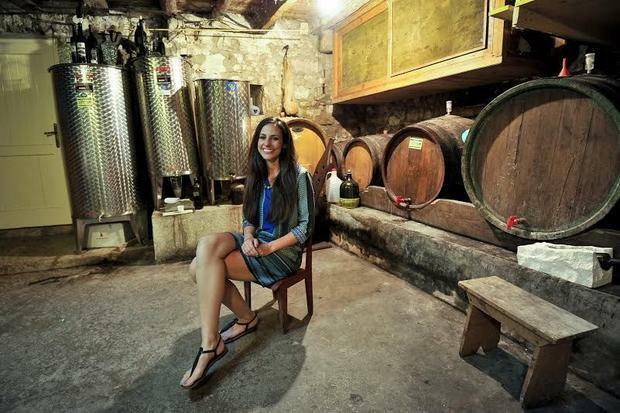 Ancient stories, historical legends, adrenaline experiences, active vacation, culture and gastronomy, wine stories, olive oil roads, river adrenalin, speleology… all this is included in excellently designed product that will, most certainly, position Central Dalmatia on the top of tourist throne in 2015. Recipe for success is here, and we exclusively bring you some of the exciting programmes for 2015! 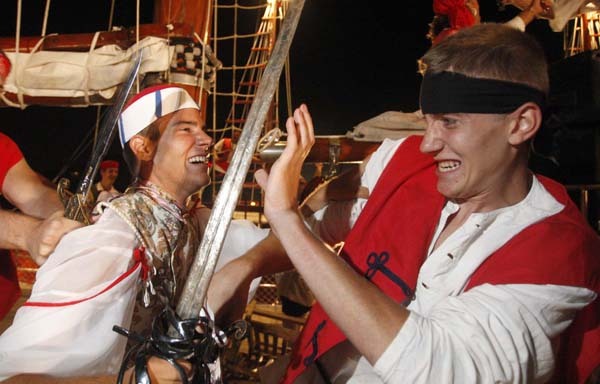 OMIŠ- join the pirate battle! 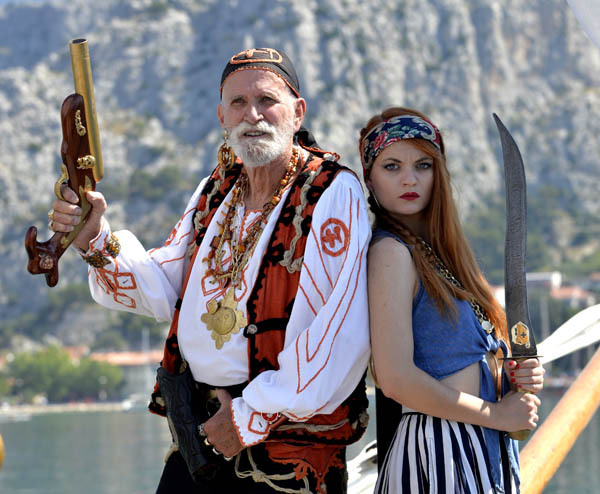 Guests will have the opportunity to set off on a 4 days long theme journey in Omiš, where they will witness scenes of authentic pirate battle. 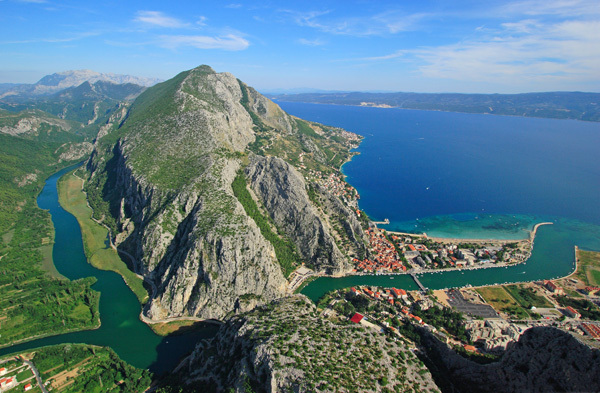 Before their eyes the time of Omiš’s heroes and brave women will emerge, they will learn why Omiš has for centuries been a city that is impossible to conquer, while a visit to Omiš’s fort Mirabela and Fortica will present a spice in an exciting adrenaline adventure. 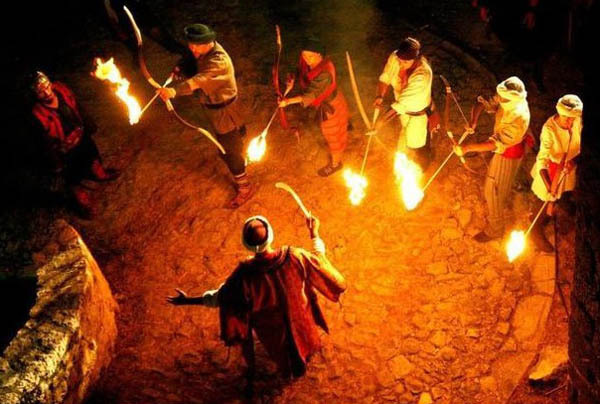 Mysterious Zagora – Opens the door of its forts! This beautiful region of Central Dalmatia, rich with mystique edifices, old forts and historical localities is ready for season 2015. It is well known that guests are delighted by towers, fortifications, myths and legends. We are sure that tourists will leave Zagora literarily enchanted, which is not surprising when in one tour they will be able to see the remains of old Roman military camp, Knin’s fort, Čačvina and Topana forts and magnificent Klis fort. 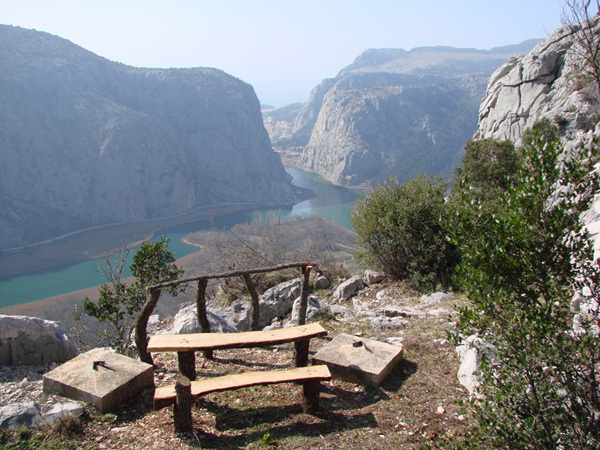 Imotski, Vrgorac and NP Krka are all just a part of the treasure that will be shown to tourists on this theme excursion. Are you up for Roman football? Combination of gastro pleasures form the times of Roman Bacchanalias and today’s delicacies in tavern Teuta, descent down the emerald Cetina river by canoes, a visit to Roman camp Tilurij and traditional bowling, with the final memory – making of one’s own souvenir in autochthonous ceramics workshops, this is a programme that will delight and relax even the most demanding guests! 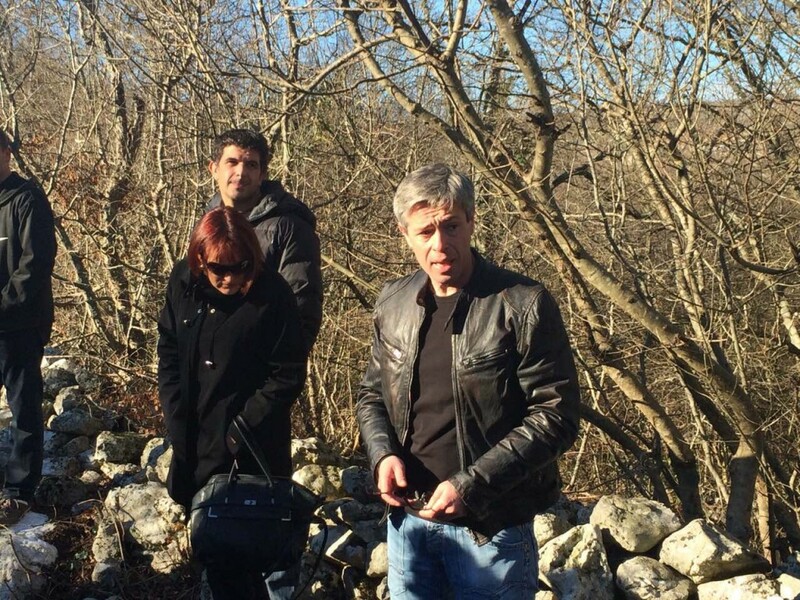 BIOKOVO – How to welcome the dawn on the top of a mountain? Biokovo – richness of speleological sights, magic view of Italy, vastness of green meadows and a set of most diverse tours will make this programme one of the most desired. Guests will be able to explore Biokovo on foot, by bike, canoe or rafting, while guides will make sure that guests become familiar with some of even 400 speleological sites. Pink Dawn on Biokovo is an experience that will stay in a long-term memory, and unforgettable view will make guests come back next year for one more dose of this magnificent emotion. Beautiful Hvar will open a book of new tales to its guests this summer. Ancient heritage will put on a new gown and take guests to incredible parts of past and present times of this heaven on Earth, through stories of guides. The Greeks loved a concept of dolce vita, and their gastro and wine feasts can be experienced through wine roads and fine sips of wine and delicious food, together with stories about grape wine and its growing by ancient Greeks. When asked about what delights them the most, many tourists pointed out that they find the biggest joy in city noise, visits to colourful markets and fish markets where they can sense the spirit and vibrations of Dalmatia. 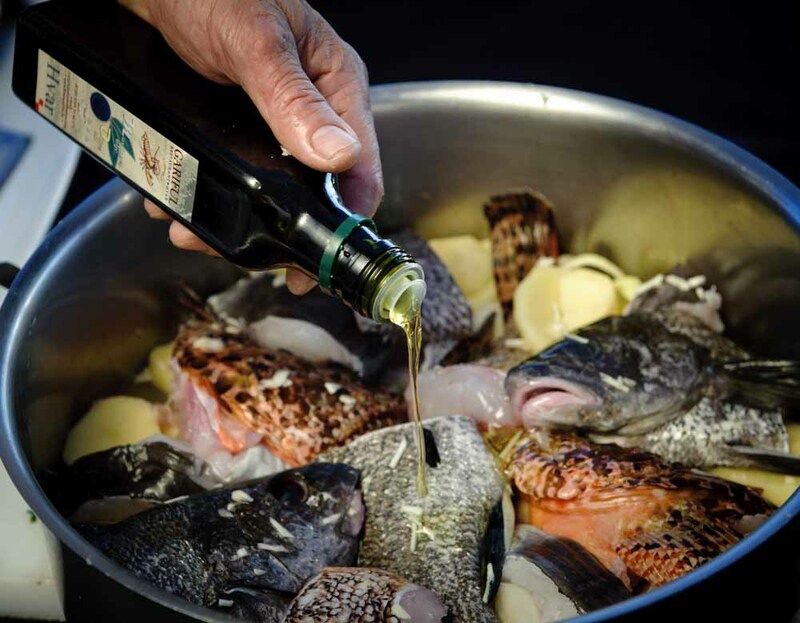 Tastes and scents of Dalmatian cuisine will welcome guests right upon their arrival (a welcome basket) and top chef will be their guide during the entire tour. Guests will not only enjoy in delicious specialties and recipes of homemade cuisine, but will also be educated and learn about making the autochthonous recipes. Did you know that one can climb with a boat? Central Dalmatia guests will learn this new skill as well. While cruising with wooden sailing boats, guests will be sent on many hiking tours on islands, from which some are easy and some more demanding. This way they will see hidden areas under Biokovo, on Hvar and Brač and after hiking, they will return to their sailing boat. 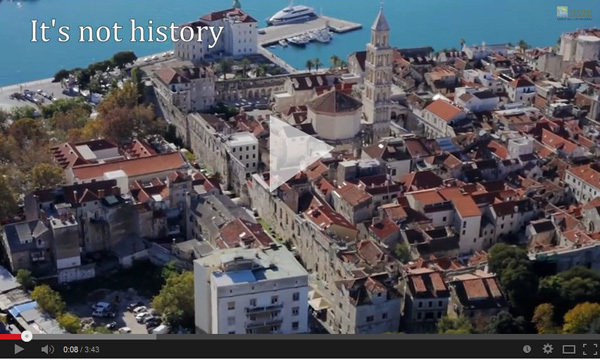 Promo film of Tourist Board of Split-Dalmatia County “The Heart Of Adriatic”, directed by Ivan Perić, won the first prize on GOLDEN AWARD for the best promo tourist film in competition of 68 films from the whole world, on prestigious Baku International Tourism Film festival held in Baku – the capital of Azerbaijan. Today is a special day for Split-Dalmatia County! 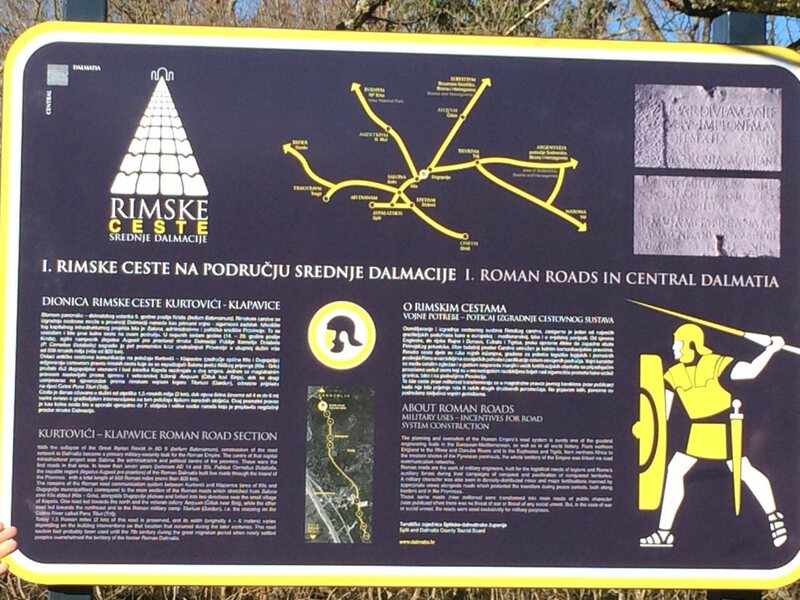 The first Roman thematic road section in the area of Kurtovići-Klapavice was officially opened at ten thirty in the morning, which initialized the revitalization of this very part of the rich history of Central Dalmatia. The opening ceremony was attended by numerous prominent tourism professionals, travel agencies and media. 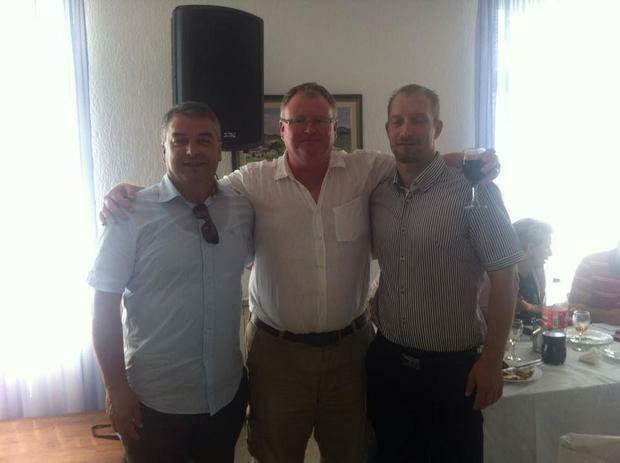 At the beginning we were all welcomed by Joško Stella, manager of the county’s tourist board. 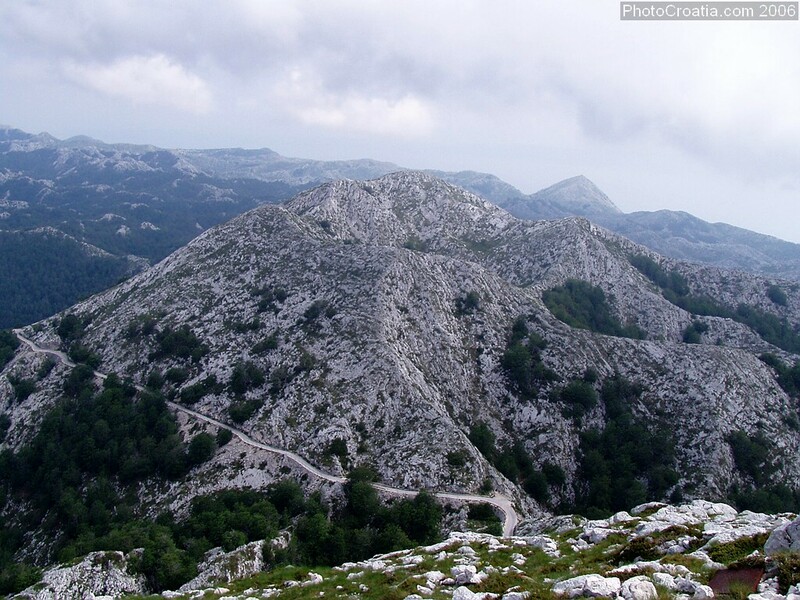 The road passes through the area of Dugopolje and Klis, and both their tourist boards, with the support of the Tourist board of Split – Dalmatia County. The visitors were also greeted by the mayor of Municipality of Dugopolje, Stanko Balić, director of the Tourist Board of Klis, Slavica Caktaš, and manager of the Tourist Board of Dugopolje, Tomislav Balić. The project leader, Lino Ursić, and archaeologist Miroslav Gogala led us through thematic path and invited all of us to join the revealing of gorgeous veils of centuries and talked about how things were in the Province of Dalmatia as far back as the ninth year after Christ! 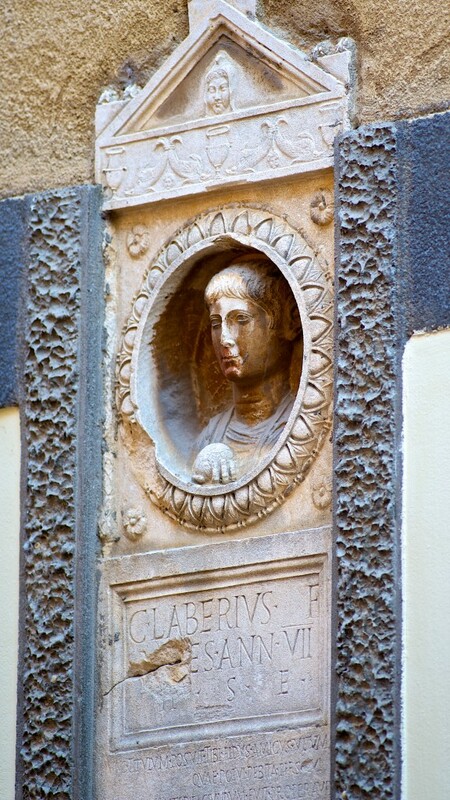 By visiting this road section, tourists will be able to learn everything about the past and ancient times when the Roman Empire ruled this small but important corner of the world. With the collapse of the Pannonian-Delmata rebellion in the year 9 AD (bellum Batonianum), the construction of the road network in the Province of Dalmatia was imposed to the Roman Empire as a primary military and security task. The starting point of this major infrastructure project was Salona, administrative and political center of the province. These were, after all, the first vehicle roads in this area. In less than seven years (14 – 20 AD), agile governor (Legatus Augusti pro praetore) of Roman Dalmatia – Publius Cornelius Dolabella, built five roads through the interior of the province with a total length of more than 550 Roman miles (more than 820 km). 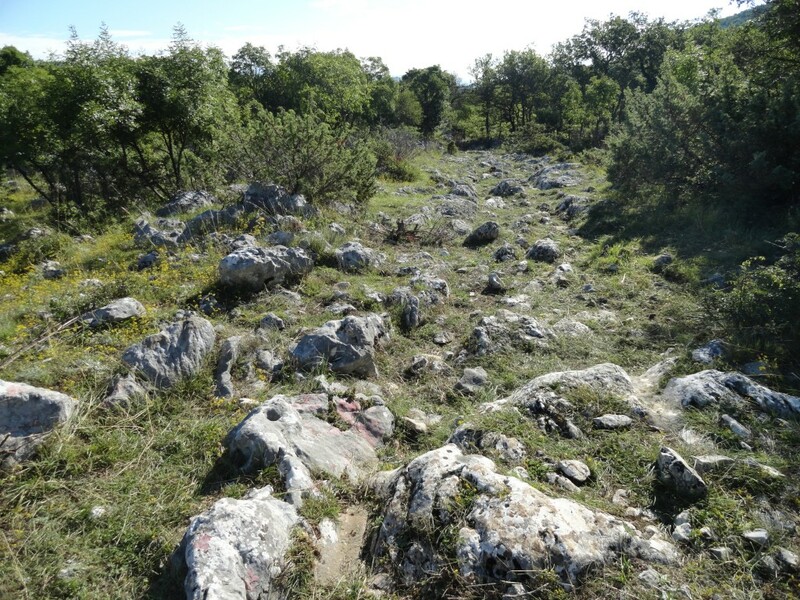 The remains of the ancient communication road found in the region of Kurtovići-Klapavice, (the area of municipalities Klis and Dugopolje), correspond to the basic direction of Roman roads that were leaving Salona over the Klis saddle (Klis – Grlo), stretched along the Dugopolje plateau, and parted in two directions near the hamlet of Kapela. A single highway route continued northwards and to the veteran colony Aequum (Čitluk near Sinj), while the second was directed to the north-east towards the Roman military camp Tilurium (Gardun), that is, the Pons Tiluri (Trilj) crossing on the Cetina River. The road is nowadays preserved in a length of approximately 1.5 Roman miles (2 km), while its width (originally from 4 to 6m) varies according to the building interventions in this area during the following centuries. This transport route was in use as the vehicle road probably until 7th century and the Great Migration that overwhelmed the former space of Roman Dalmatia. 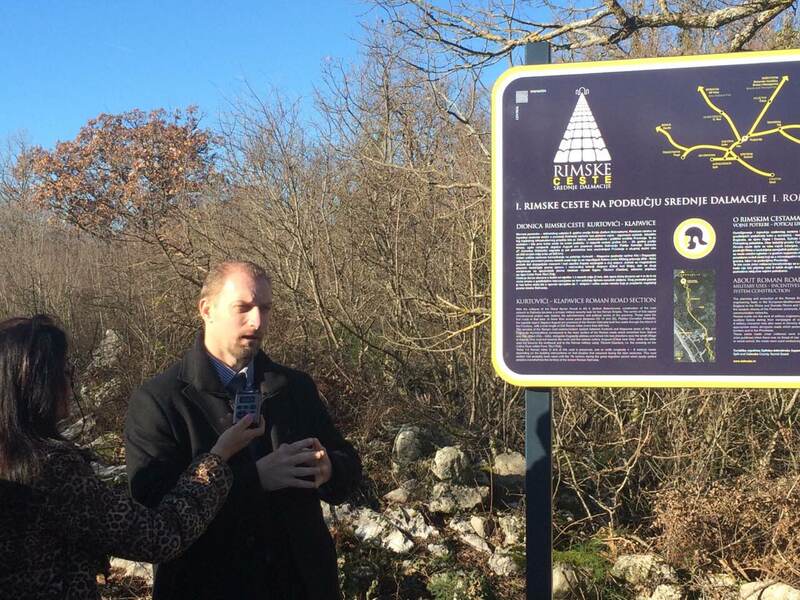 The ancient main road direction Kurtovići – Klapavice is a first of series of implementations of the archeological tourism project Roman road communications of Central Dalmatia. The project bearer is the Tourist Board of Split – Dalmatia County, while municipalities of Klis and Dugopolje are project partners. Cleaning of the terrain, archaeological supervision and rescue excavations at the monitored site were performed in the period from August to November 2014, followed by further archaeological research in order to collect as much data on this road section. We warmly welcome this initiative of Split-Dalmatia County, and we strongly believe that this is just the beginning of capital projects in the revival and evaluation of the glorious past of Central Dalmatia and another sumptuous contribution to its rich tourist offer. 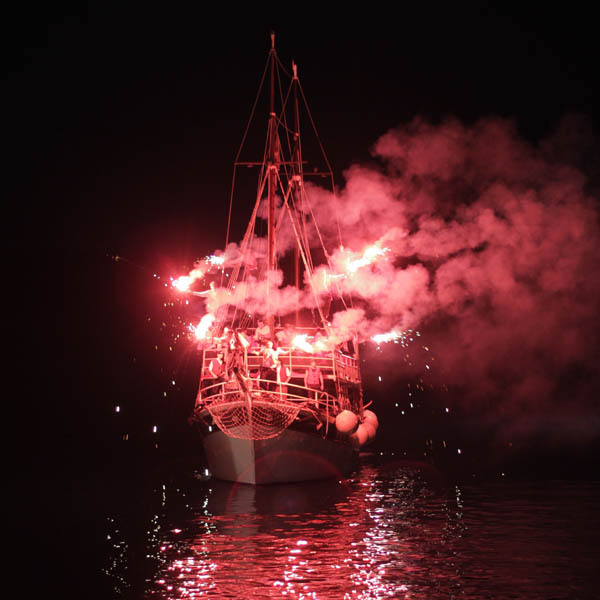 The Pirate Battle of Omiš, which is to take place on August 18th 2014 in the town port of Omiš for the 8th year in a row, has over the years become a traditional and central summer event for the town of Omiš, the Split-Dalmatia County and Croatia. 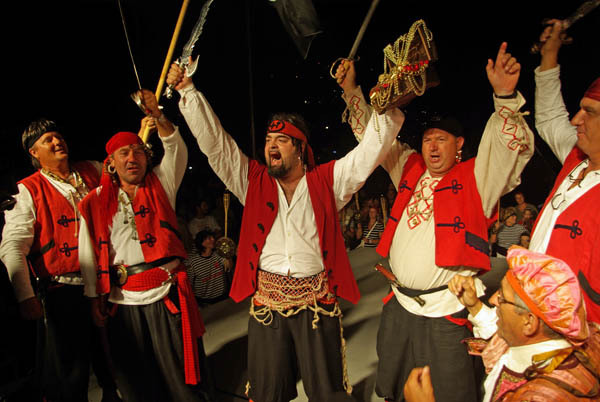 The infamous pirates of Omiš ruled the coastal area between the Neretva and Cetina rivers (including the nearby islands) in the period from the 12th until the 15th century. 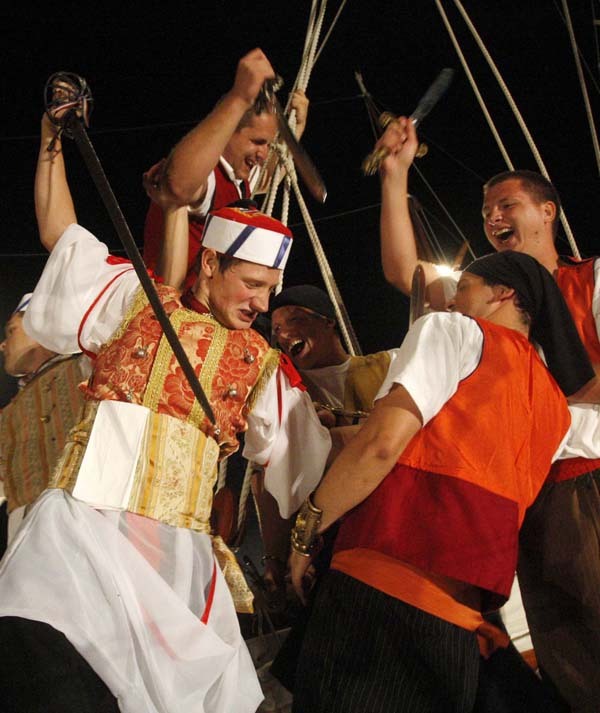 As a reenactment of an actual historical battle between the pirates of Omiš and Venetians that took place in the 13th century, this unique event uses historical facts in building the brand of Omiš as a town of pirates and thus contributing to the development of cultural tourism of the wider Omiš territory. 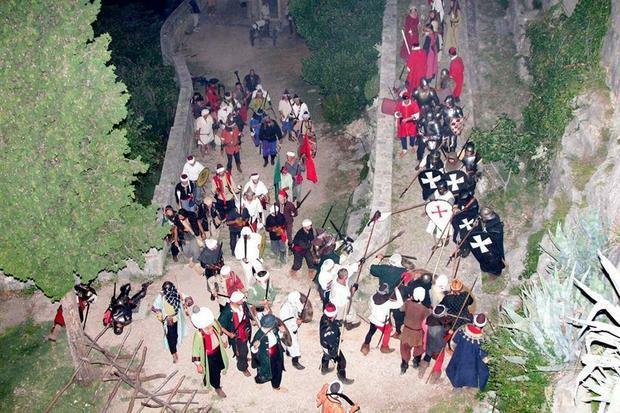 More then 100 fully armed participants are directly involved in the reenactment of the original battle each year, including, apart from the Pirates of Omiš, also members of historical military units Kumpanija from Korcula, Trombonjeri from Dubrovnik and Uskoci from Klis. It should also be noted that more than 10 000 visitors enjoy this unique event each year. Klis – Now a Game of Thrones filming location, the historical importance of Klis Fortress is relived, as Dalmatia returns to 1532. As most tourists in Dalmatia continued to enjoy the standard sun and sea combination on July 26, 2014, a spectacular historical reenactment of the 1532 Battle of Klis reminded visitors of the historical importance of the region for all Europe, as well as highlighting the diverse potential of Croatia’s southern region as a fascinating tourism market. 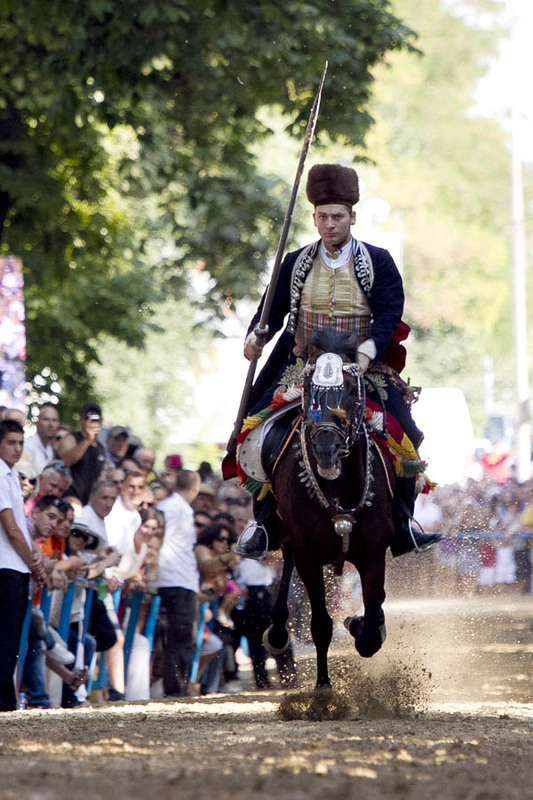 Kliški Uskoci – more than 250 actors, many from abroad, made up the spectacular cast. These are good times for the fortress of Klis, which sits majestically overlooking Split and the Dalmatian island of Hvar, Brac, Solta and Vis. Known as the Gateway to Split and the Key to Dalmatia, Klis Fortress is best known in recent times as a Game of Thrones filming location, and the popular HBO series will be back in 2015 for series 5. The battle took place in various parts of the fortress, with a drone camera feeding live images onto large screens for the audience. The ensuing Game of Thrones tourism is a welcome boost for the inland community, but it is not the only intervention taking place at the historic fortress. 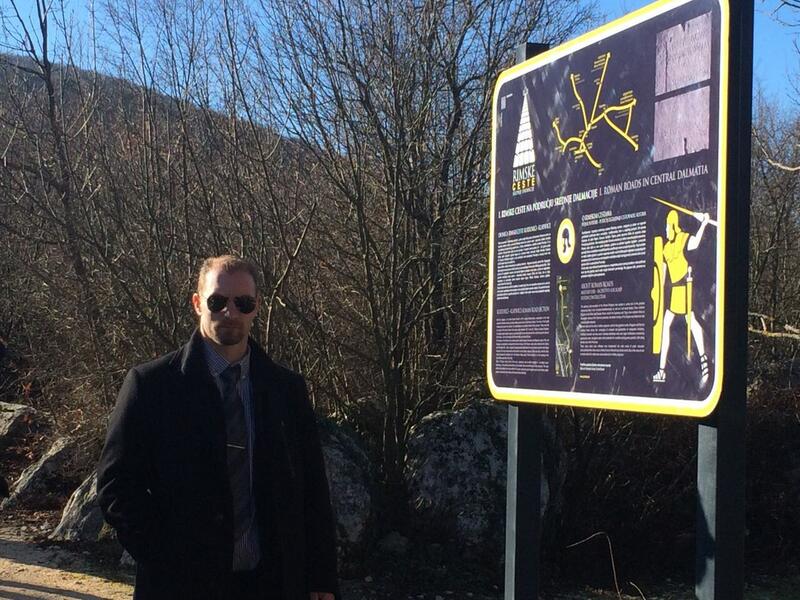 Digital Journal, accompanied by Central Dalmatia Tourist Board director Josko Stella visited the fortress earlier in the week to inspect infrastructural improvements to the fortress by the EU-funded Medpaths project, a worthy initiative to improve inland tourism in Croatia and Italy. Josko Stella, right, director of the Central Dalmatia Tourist Board, with this Digital Journalist and popular Dalmatian politician Visko Halidic at the EU-funded Medpaths presentation in Trilj. 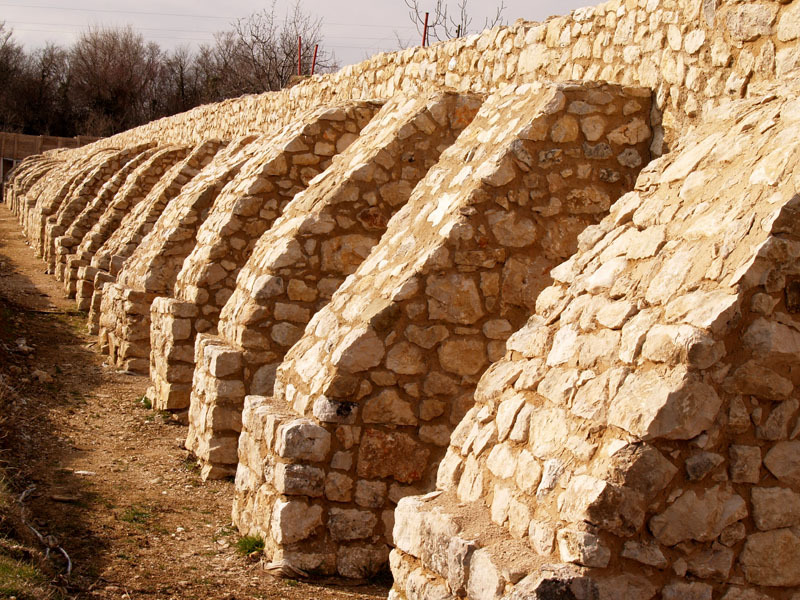 Klis Fortress is also a project beneficiary. 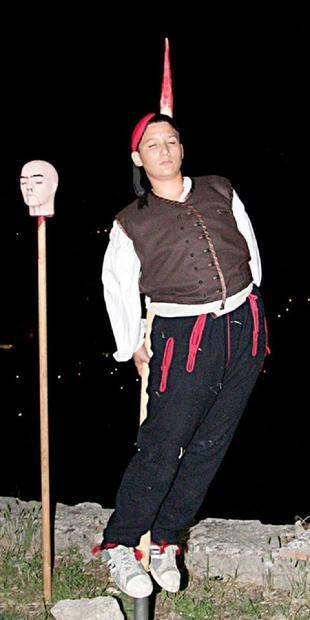 Stella was once more present at the Battle of Klis reenactment, once again demonstrating his strong commitment to the development of tourism in the Central Dalmatian hinterland. The epic battle lasted over 90 minutes and was surprisingly authentic. 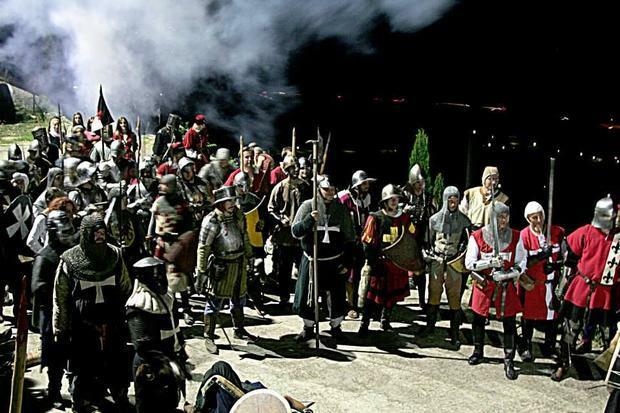 The reenactment of the 1532 Battle of Klis is now in its fourth year, and it is considered to be the highlight of the tourism calendar for the small community which towers over Split. This year’s event was attended by more than 250 actors in traditional authentic costumes, who reenacted the Ottoman attempts to take the strategic fortress after a 25-year siege. Spectators were treated to an authentic view of the battle of 1532. Klis, which is also known as the most fortified fortress in Europe, is not a natural setting for a large show, with few open spaces (part of its success against invaders, perhaps), and this year’s event included a drone camera feeding live action into assembled large screens for the considerable number of tourists. 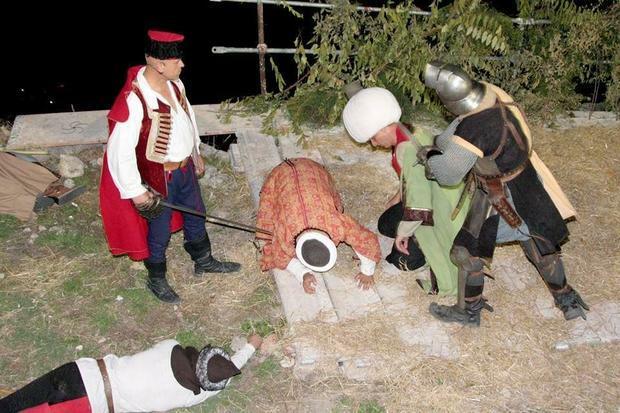 Historical reenactment tourism is becoming more popular in Dalmatia. Among the guests were members of the Game of Thrones crew. The popular HBO series filmed at Klis last year, and the very strong rumours are that they will be back for season 5 in 2015. 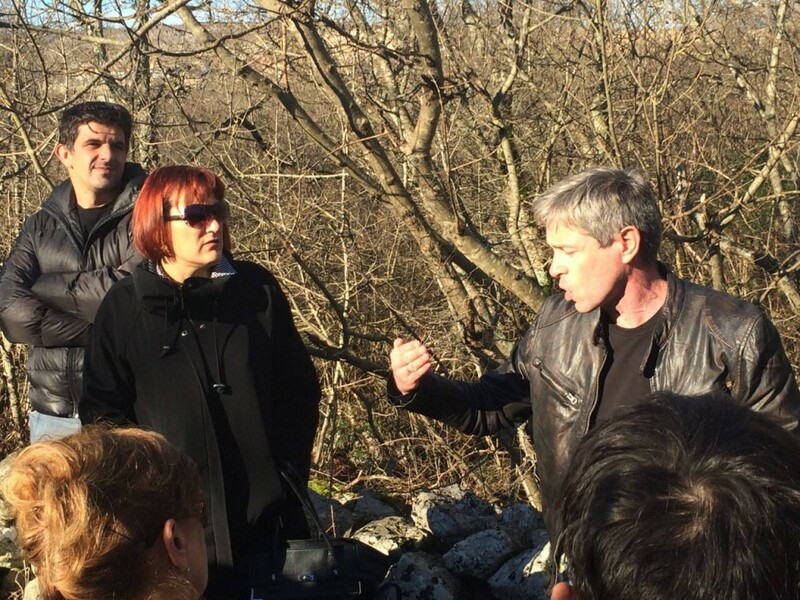 Game of Thrones tourism is in its infancy in Split, but it is expanding rapidly, especially as the show has confirmed it will be increasing its locations in Dalmatia next year. Maja Zlokic, editor of the successful Croatian Hot Spots, with Game of Thrones representatives after the battle. The most popular after party was held in the home of Toni and Tracey Glavina, who moved from America to his native Klis a few years ago with his American wife, and whose generous hospitality in the Glavina ‘Man Cave’ was appreciated by Game of Thrones staff, tourist board directors and Digital Journalists alike. 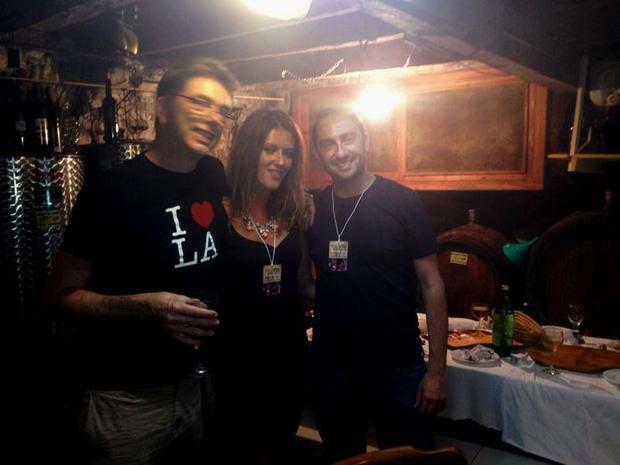 Tracey Allison Glavina, an American resident of Klis, in the family konoba where an after party was held, with guests including Game of Thrones representatives.